(Politico) – President Barack Obama’s Keystone veto threat Tuesday was the opening gambit in his fight with the new Republican majorities in Congress looking to derail his post-midterm momentum. Worried White House aides spent the last few weeks working behind the scenes to make sure they had the votes to sustain a veto, rounding up enough Democrats willing to stand behind their lame-duck president and prevent him from being humiliated by an override. White House press secretary Josh Earnest’s waiting only for the initial text of the bill approving the massive oil pipeline reflected confidence that they’d won this round. 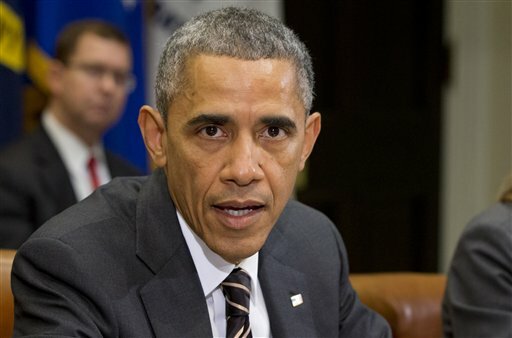 A veto would come with political complications for Obama. Republicans are already pointing to the threat as more evidence of their narrative that he’s a dictatorial president who refuses to listen, even on an issue that has enormous support in public opinion polls. Supportive Democrats, though, say they’re eager to see the president dig in and concentrate more on fighting than compromising.